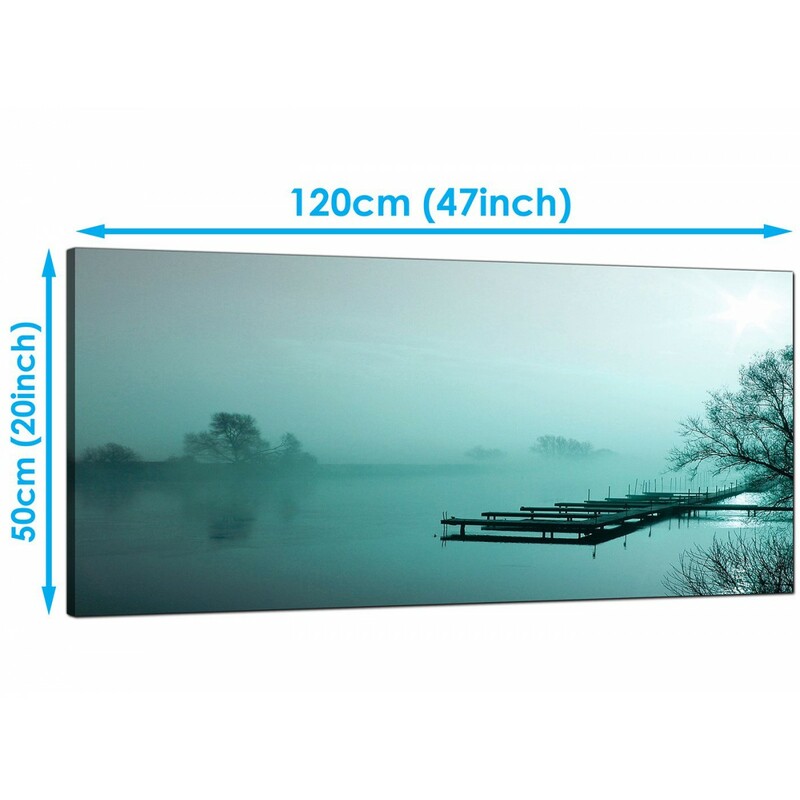 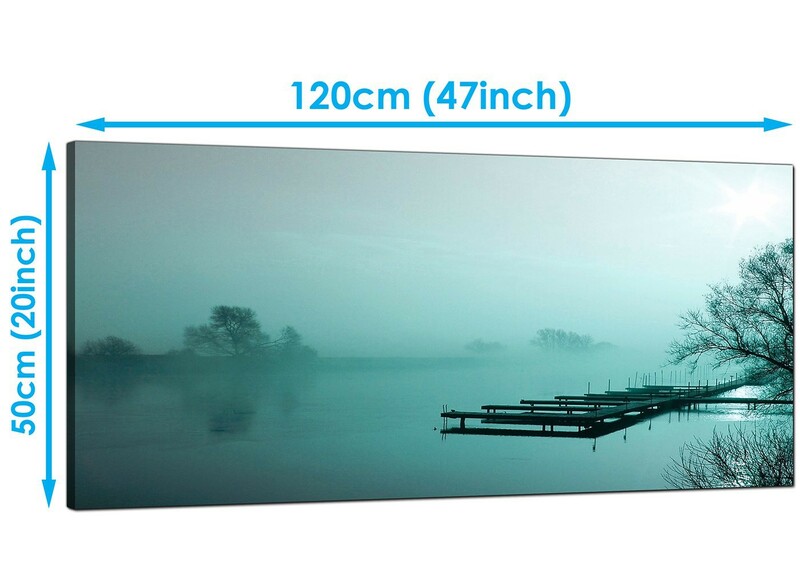 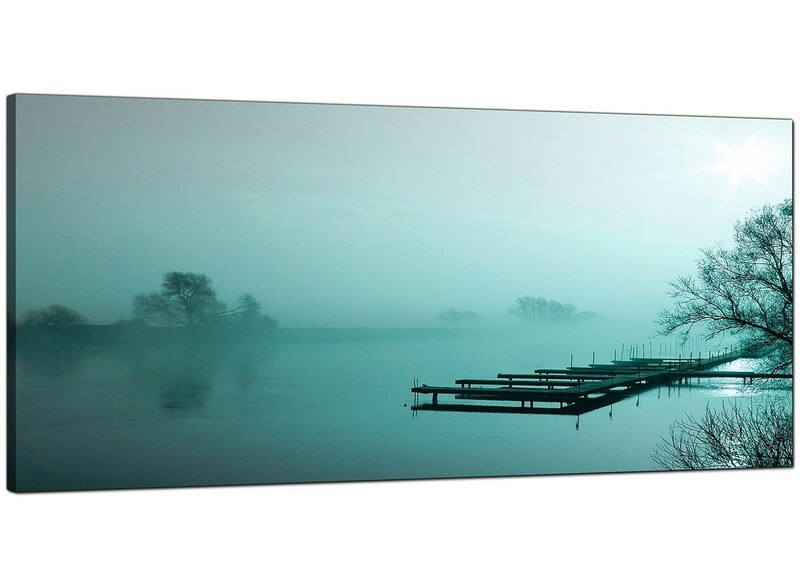 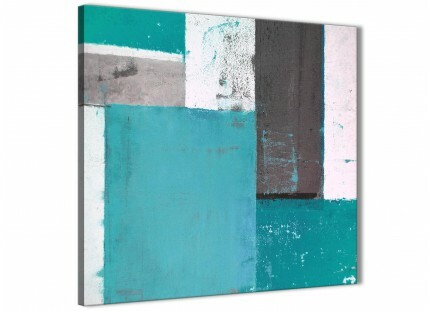 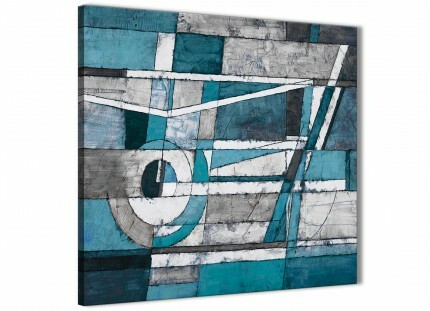 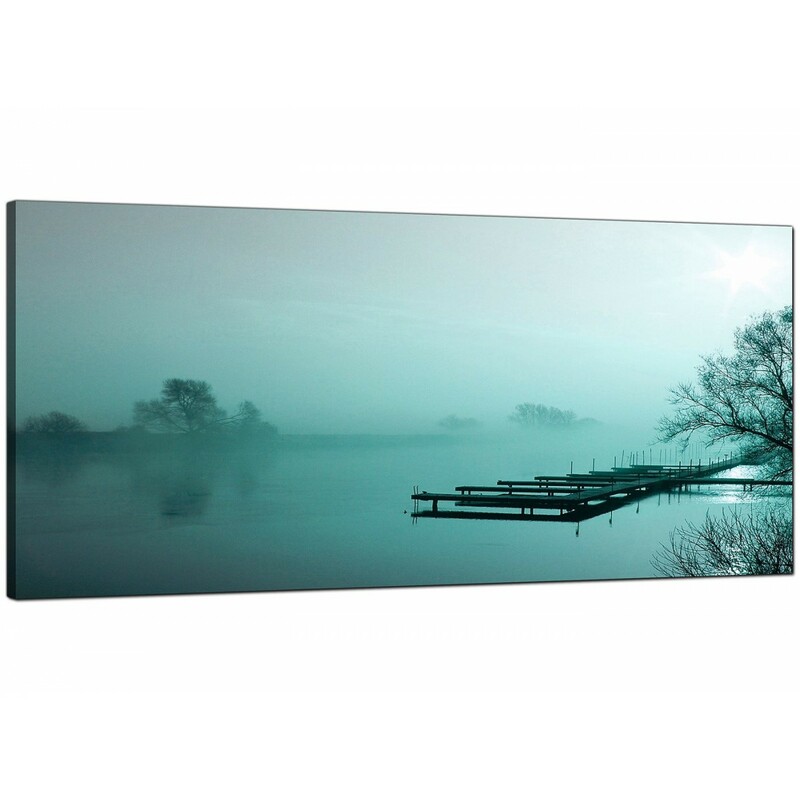 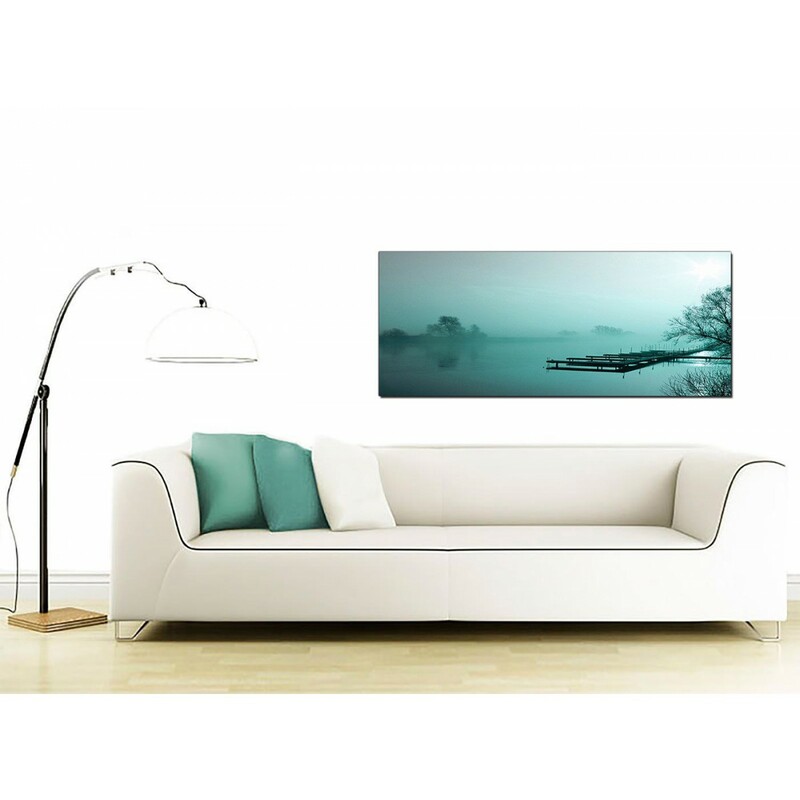 Landscape canvas wall art of a misty river in turquoise. 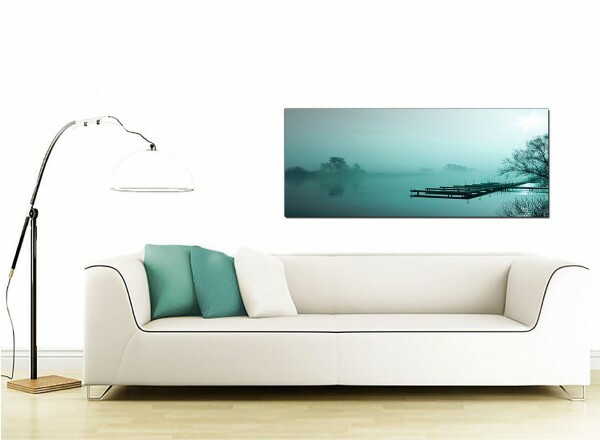 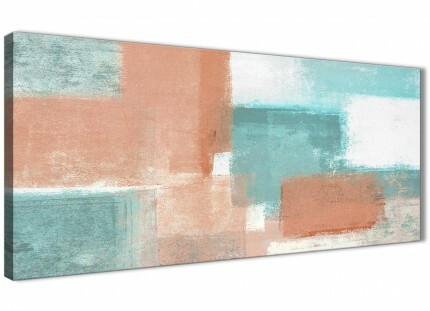 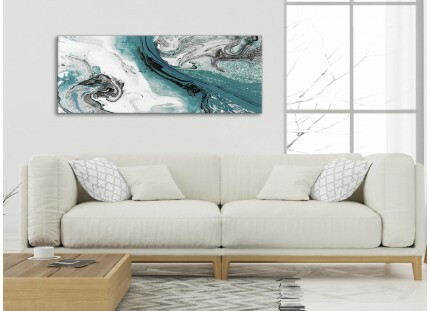 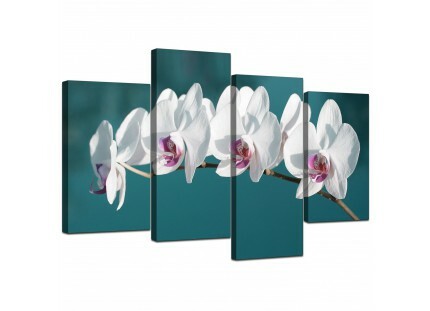 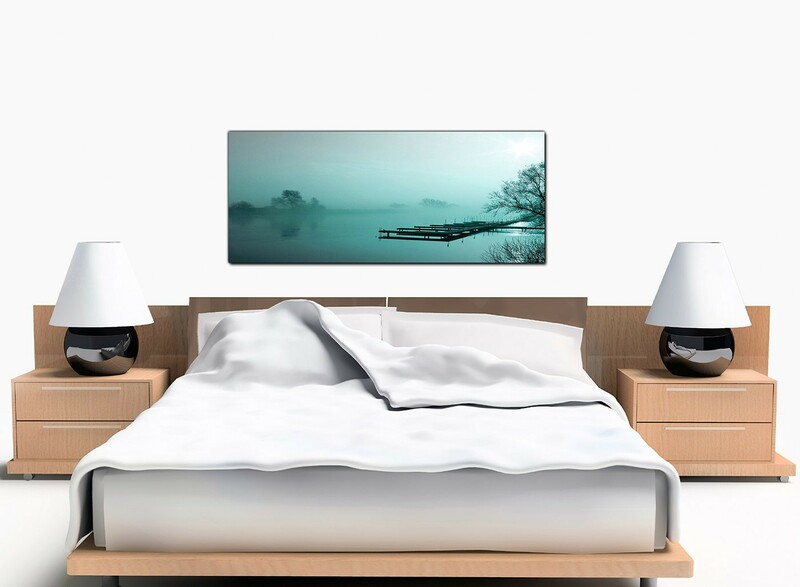 A sizeable teal elegant panoramic canvas art print. 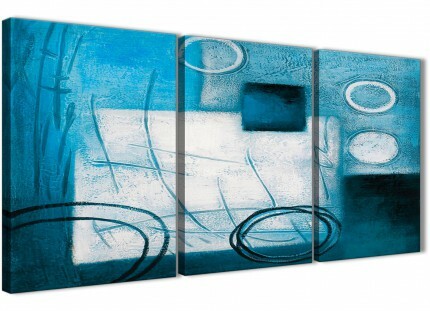 The artwork is reproduced to the highest quality with fade proof inks.